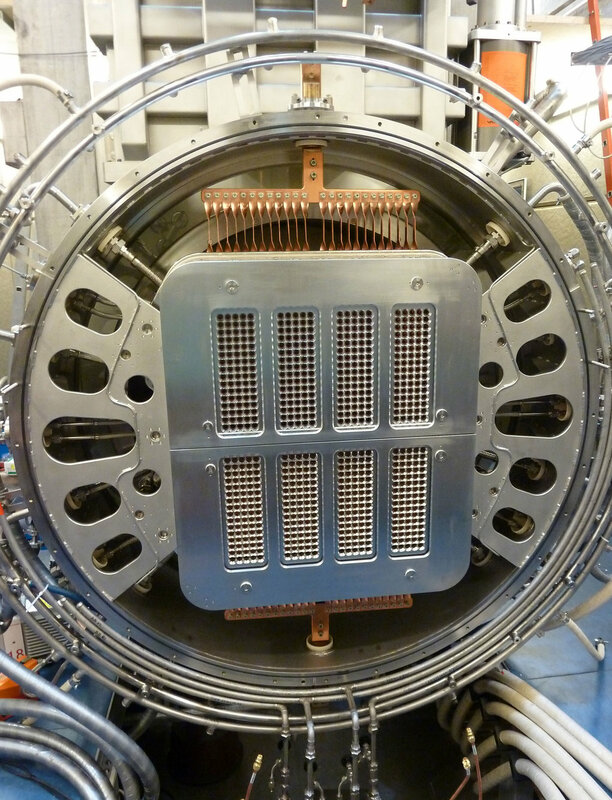 Neutral-particle heating for ITER / Fast-hydrogen-particle beam for plasma heating. The international ITER (Latin for ‘the way’) test reactor, now being built in France as a world-wide cooperation, is to demonstrate that a fusion fire supplying energy is possible. Like the sun, a future fusion power plant is to derive energy from fusion of atomic nuclei. The fuel, viz. a hydrogen plasma, has to be confined without wall contact in a magnetic field cage and be heated to ignition temperatures exceeding 100 million degrees. ITER is to produce 500 megawatts of fusion power, this being ten times as much as needed beforehand to heat the plasma.